This off dry ruby red wine presents succulent flavours of fresh ripe blackcherries balanced by a subtle touch of tannins, similar to a Pinot noir. Light and fruity, this thirst quencher is a great addition to any summer festivity. 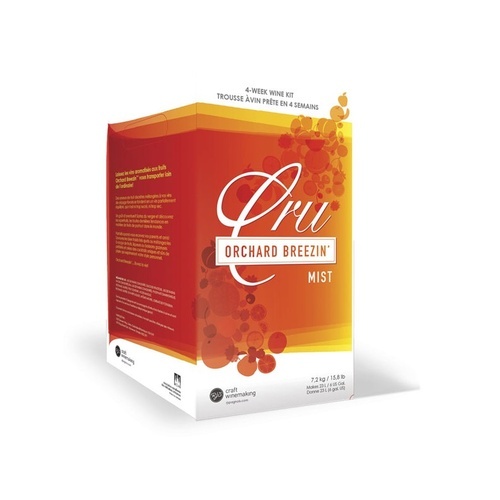 Orchard Breezin' Mist Wine Kits provide a refreshing alternative to wine or coolers. They are a perfect balance of fruit and wine - not too sweet, and not too dry.